Keeping your budget in mind might mean you look towards buying a used vehicle. But at Hennessy Porsche North Atlanta, you can get that luxury Porsche feeling without opting for a vintage Porsche model. Our certified pre-owned inventory offers Milton drivers quality vehicles that come equipped with the latest tech and features, without paying that new vehicle sticker price. Browse through our extensive inventory and find the certified pre-owned luxury model that best suits what you want and need in a new-to-you vehicle. If you have any questions about the benefits of buying pre-owned or about one of our models, contact us. No matter your driving needs, you’ll find something you love in our selection of pre-owned Porsche models. The car buying process can be stressful, but we’re here to ease that burden--compare CPO Porsche vs. CPO Mercedes-Benz to learn more about what Porsche has to offer. Contact us today to learn more about your CPO options, our used Porsche models like the 718 Boxster, or to talk through our financing options with one of our experienced staff members. 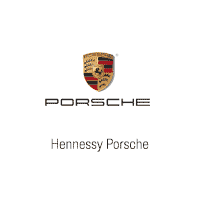 At Hennessy Porsche North Atlanta, we know you’ll find that CPO luxury car you’ve been searching for at a price that you’ll love.